Patanjali Aloe Vera Mint Face Wash contains herbs having a high medicinal value as far as the health of the skin is concerned. It can help to reduce acne and acne scars. It has a unique, refreshing fragrance that soothes the skin and calms the mind. It refreshes the irritated nerves and leaves the face rejuvenated. Patanjali Aloe Vera Mint Face Wash lathers well to give a smooth and oil-free effect to the skin. It removes dirt and dust from the skin and makes it clean and clear. Patanjali Aloe Vera Mint Face Wash is suited for all skin types. It can be used by the people having dry as well as oily skin. 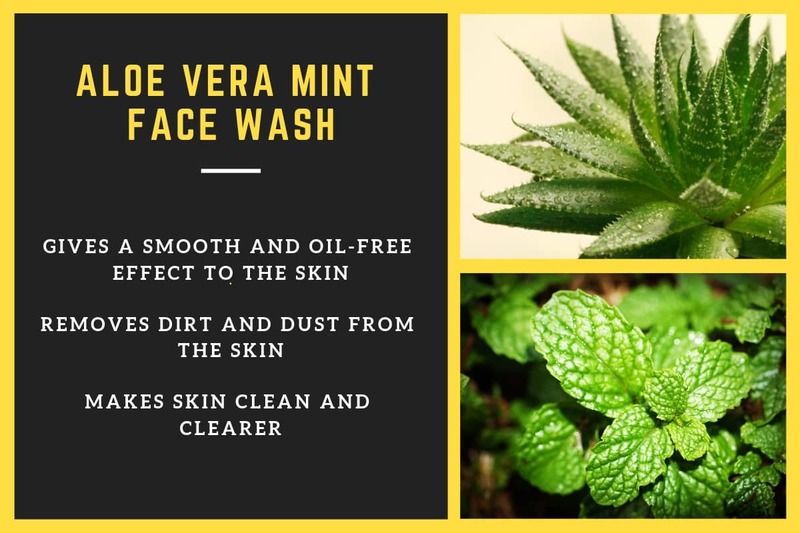 The skin benefits of Patanjali Aloe Vera Mint Face Wash, its ingredients, and the directions to use are given below. Patanjali Aloe Vera Mint Face Wash is highly effective in the management of acne. It cleanses the skin and removes dirt, dust, and toxic chemicals present in the same thus reducing the risk of acne. It also enhances the glow on the skin. It makes the skin soft and supple by ensuring proper hydration. It maintains the moisture of the skin by regulating the production of oil in the sebaceous glands. Patanjali Aloe Vera Mint Face Wash acts as a cleanser and detoxifies the skin thoroughly. It produces a soothing, and refreshing effect on the skin and rejuvenates it. It also removes oil and dirt from the skin pores thus giving a brighter and healthier looking skin. Apply a small quantity of Patanjali Aloe Vera Mint Face Wash on wet face, and massage gently for about one minute with water. Then, wash it off with plain water.